These days most of us are lucky enough to have pretty quick broadband in our homes and offices. In fact, many people might no longer be concerned about the speed of their internet, but rather all the many gadgets on the same network taking up the bandwidth. 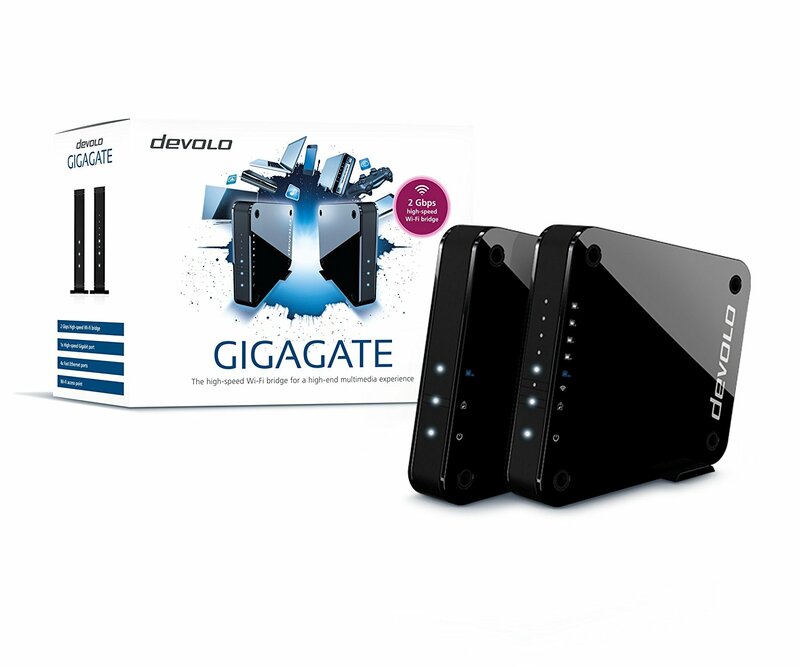 If your family or business is constantly using their laptops, tablets, phones, smart TVs, and games consoles simultaneously, and you've noticed that the speeds are dropping as a result, you might need something like the Devolo Gigagate. The Devolo Gigagate consists of a base station and a similar looking satellite unit. You plug the base station into your existing router to pick up the internet connection, which is then beamed directly to the satellite which you place in another part of your home or office. Although it sounds like a WiFi extender set up, the whole point of the Gigagate is to send a direct and targeted data stream to one specific area where a lot of internet guzzling devices live, not necessarily just a WiFi dead zone. 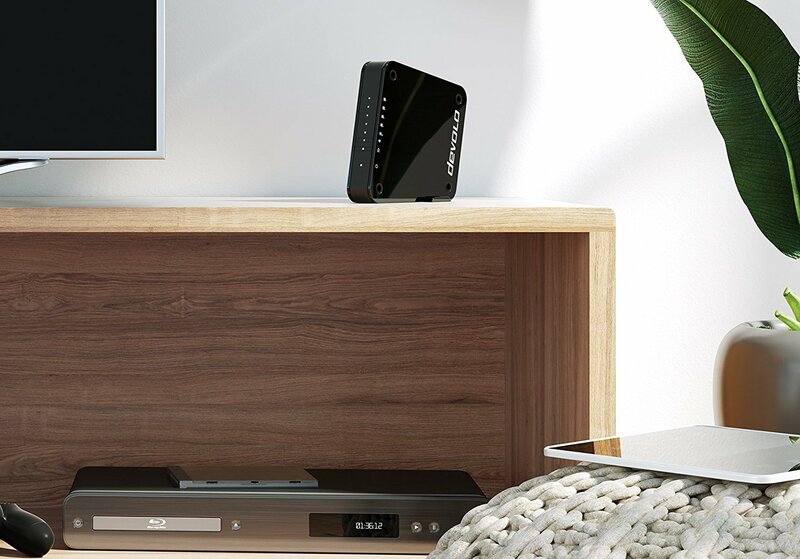 Because the satellite unit boasts one Gigabit and four Ethernet ports on the rear, the best application that we could find for it was next to a home media centre; where smart TV, media box, and games console might live near to each other. Connect them all up to the satellite with wires and you get a strong and instant network ready to stream. And seriously, it is quick. There is no prolonged set up routine as the base and the satellite find each other immediately. Whole thing took about a minute. Nice. There is WiFi capability on the satellite, as well there should be, although the speeds were nothing to enthuse too greatly about. That said, it was fine, and nothing that couldn't handle everything we threw at it. Netflix, YouTube, and some online games were all running simultaneously on it, but the speeds were comparable to what we get from the WiFi router anyway. 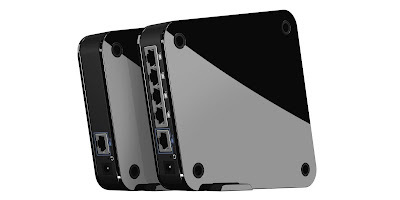 However, those wired connections worked excellently, and the dedicated stream over the 5GHz channel meant the heaviest bandwidth using gadgets were kept apart from everything else in the house. The max speeds can be anything up 2Gbps, but realistically you're looking at about half that – we never topped 1Gbps. 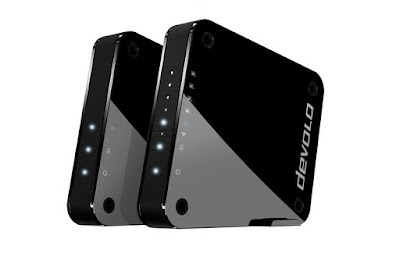 If anything, the Devolo Gigagate served as a reminder that these larger devices are capable of being connected physically, as well as wirelessly, and if you are able to, do so. 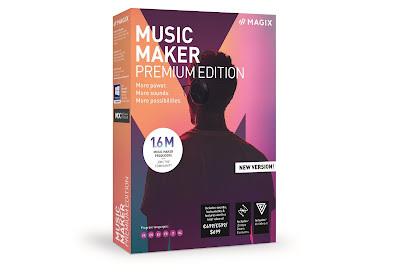 So who should buy this? Well, the Devolo Gigagate is not just a decent twosome, but it also kills two birds with one stone, too. If your bandwidth is being sucked up by media devices at the expense of everything else on the network, this will solve that problem, while also introducing a new and strong WiFi network an area that may or may not have previously been poor.